The following amazing photo-realistic images were commissioned by TMS Architects to provide a client with a full understanding of the rather unconventional concept and design of cottages for their extended family and guests. 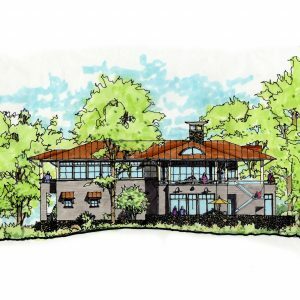 These renderings will be used as a visual reference for the homeowners, the contractor and the architect to develop construction documents for future construction and were provided to TMS by Jonn Kutyla of PiXate Creative. As the saying goes, it’s what’s on the inside that counts. But when it comes to designing your dream home, we know that the inside and outside are equally important. 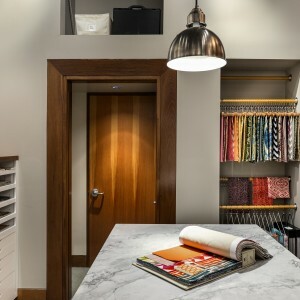 When you think about it, architecture and interior design go hand-in-hand if you’re looking to create a cohesive, functional, and beautiful spaces. 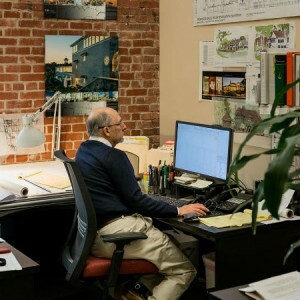 As a New Hampshire based architecture firm, we have the pleasure of taking on projects in some of New England’s most beautiful and historic settings. This area is chock full of lush lakefronts, breathtaking coastal views, and idyllic downtown areas with centuries-old charm. When constructing a new building in a naturally beautiful setting, it just makes sense to take a cue from Mother Nature when it comes to design. 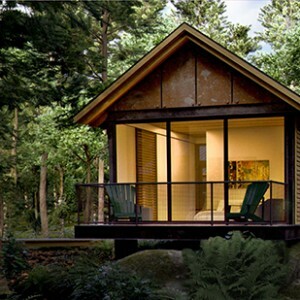 Today, we’ll share some of our favorite designs that stand out by working with their natural surroundings. What kind of image do you conjure up when you think of a courtyard? Many people think only of the grandiose types that are found at mansions or public venues, resplendent with large fountains and lush gardens. In fact, courtyards are an under-utilized architectural detail that can change the whole look and feel of your home. Indoor & outdoor courtyards offer natural light and a sense of outdoor space regardless of where your home is situated. A Home Grows To Greatness! Many thanks to Selectwood, a wonderful building supply resource center in Portsmouth, NH, for featuring a TMS designed home in the Spring 2015 Builder’s Price Guide. The project, A Seaside Renovation, was a collaborative project between TMS Architects, CM Ragusa Builders and, of course, the homeowners! Nothing quite compares to the rich tones and textures that reclaimed wood can bring to kitchen designs. Naturally beautiful and warm, reclaimed wood countertops can enhance the aesthetics of your kitchen while reducing your impact on the environment. Since no two pieces of wood are alike, you know you are getting a one-of-a-kind countertop with its own unique story. Not to mention, reclaimed and repurposed wood countertops can be just as beautiful as they are durable, functional, and environmentally-friendly. 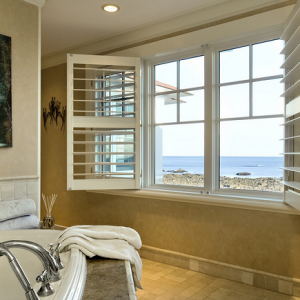 With the right design, a bathroom can be just as eco-friendly as it is beautiful. It starts with the thoughtful selection of reclaimed, recycled, and green materials and finishes with water-saving features that ensure environmental responsibility. A well-designed, eco-friendly bathroom can evoke peace of mind, not only with its spa-like atmosphere but with its clear environmentally conscious layout. TMS Architect, Bill Soupcoff, Builds a Business from the Ground Up!